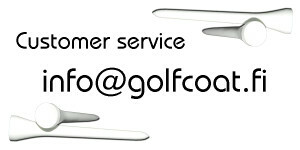 Expand your messages to the golf courses. 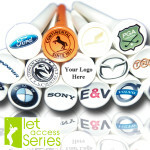 Great way to promote your products or services to the customer. Small size and innovative packaging keeps your message a long time at tip of their fingers. Fully printable on both sides. 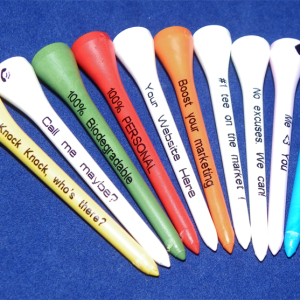 Matchbook includes 6 pcs all personalized Biogolftees. 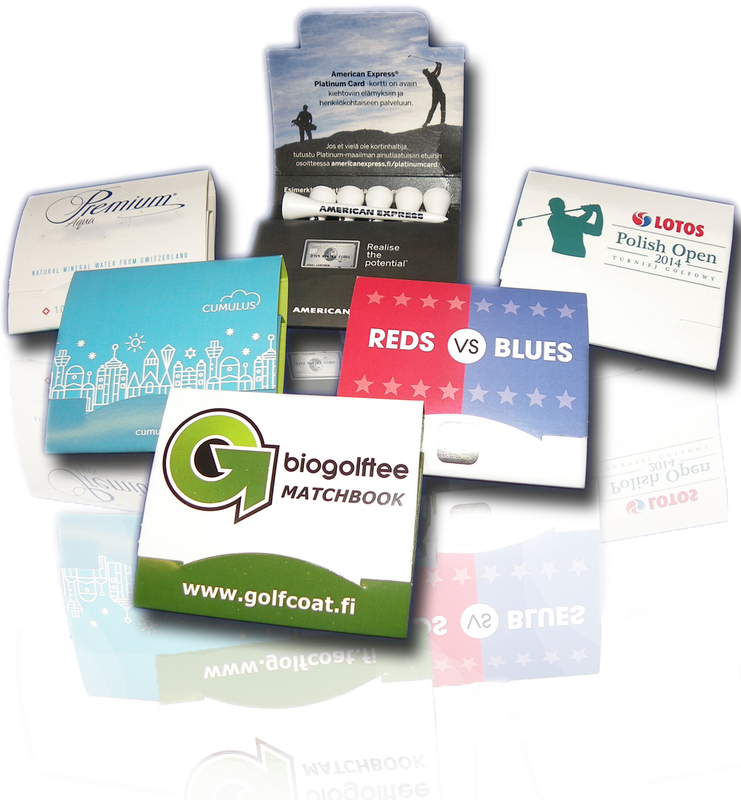 If you have any questions or exceptional ideas for use of Biogolftee Matchbook, please contact us. We drive from a good challenge! 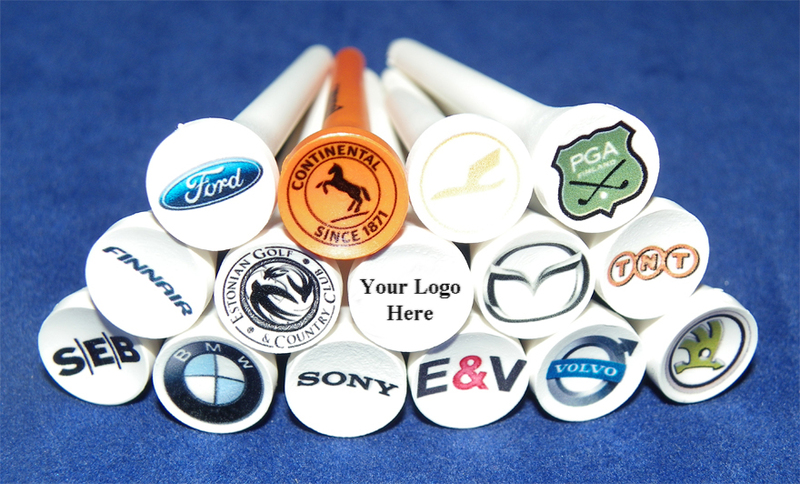 Use our instructions how to easily design your own matchbook. Download below. 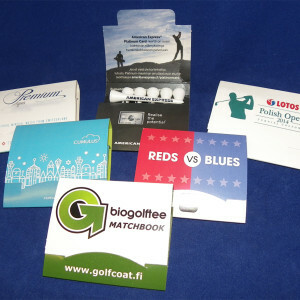 Matchbook Instructions – Full details how to design. Matchbook Template – PDF for Photoshop etc. 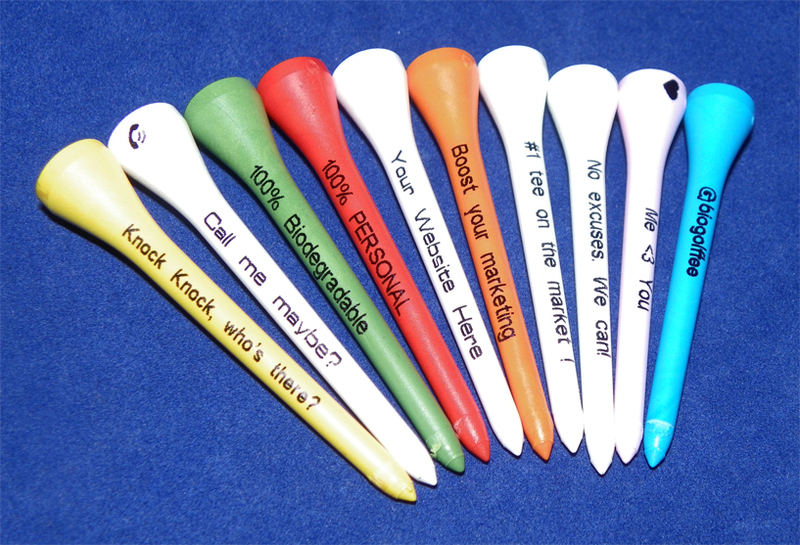 Super versatile, up to 8 printable surfaces on MB and for tees 12 different messages to shafts and 6 different logos to cups! 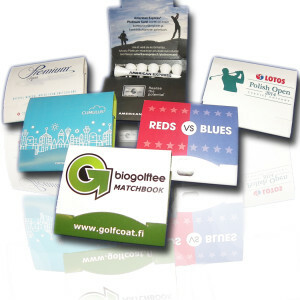 Biogolftee Matchbook Instructions – Full details how to design. 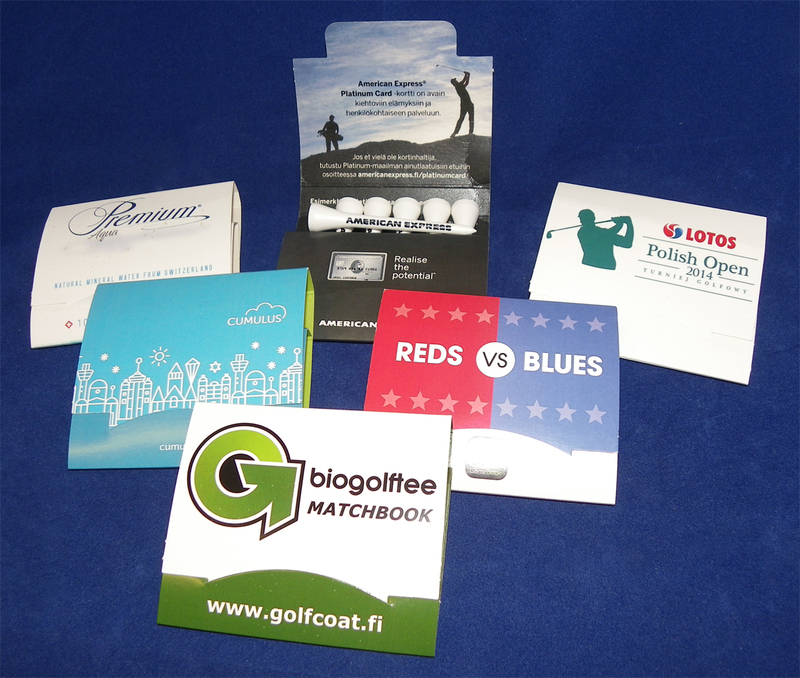 Design your matchbook using our instructions and send it to us in PDF format. 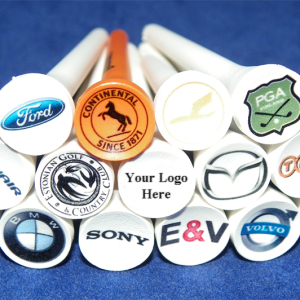 Remember to attache texts / logos what you want printed for tee shafts and for cups. We will check the matchbook material and approve it. After approval production starts immediately and it takes about 1 week to deliver.